After rather disappointing spells at Chelsea, Everton and Sampdoria it seemed as if the end was nigh for Samuel Eto’o. The Cameroon international will undoubtedly go down as one of the great strikers of all time. Eto’o has enjoyed an illustrious playing career winning three La Liga titles, the Serie A, three Champions League trophies, the FIFA Club World Cup at club level. The two time African Cup of Nations winner looked to be reaching the end of his career after leaving Inter Milan. 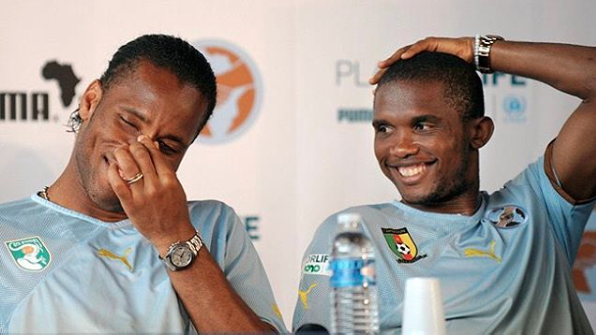 Eto’o was accused of choosing money over football when he joined Anzhi Makhachkala, becoming the world’s highest paid player. The Cameroon international went onto enjoy a season at Chelsea scoring 12 times and providing seven assists. The striker then had a rather disappointing season at Everton followed by Sampdoria. When he joined Antalyaspor in 2015 it was perceived as a last pay cheque before ending his career. Eto’o has however, surprised many with his form since joining the Scorpions. Now 36-years-old the experienced forward has revelled in his status as a cult hero and embraced being a leader. The former Barcelona man has 30 goals and 10 assists in 54 appearances for the Mediterranean based outfit. Eto’o has directly contributed to 14 goals in 22 league games – 10 goals, four assists -, almost half of Antalyaspor’s 31 goals this season. The striker has become the talisman, captain and unofficial player manager for his side. An ambassador for an ambitious club just five points behind 4th places Fenerbahce. Antalyaspor have gone from total obscurity to a team with potential to push on and become a force in Turkish football. The club are based on the Turkish riviera, the city of Antalya has a population over 1 million and a stadium that powers itself through solar energy.